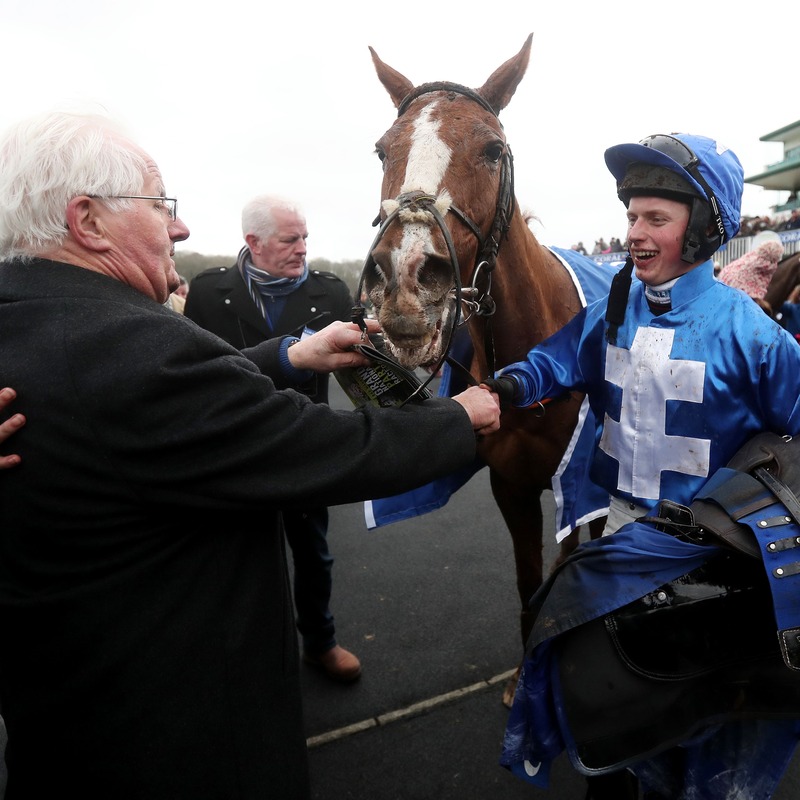 Raz De Maree bids for his second victory in the JT McNamara Ladbrokes Munster National on Sunday. The popular veteran won the 2012 renewal of the prestigious Limerick feature when trained by the late Dessie Hughes and returns for another shot a the ripe old age of 13. Raz De Maree was in second place when falling at the 10th fence in last year’s renewal and went on to hit the heights in the Coral Welsh National at Chepstow in January. Gavin Cromwell’s charge completed the course in the Grand National when 10th behind Tiger Roll at Aintree on his only subsequent start. “We’re hoping they get a bit of rain. He needs it a little bit softer,” said Cromwell. “He’s in great nick and we’re hopeful of a decent run. Eric McNamara is confident Black Scorpion is ready to take up the challenge following his decisive victory at Listowel five weeks ago. “He seems to be in great form and we think he has improved for his run in Listowel,” said McNamara. Kevin Brouder created a good impression when steering Black Scorpion home last time and the 7lb-claiming conditional will again be in the plate. “He rode him the last day and got on particularly well with him, so he holds on to the ride on him,” McNamara added. Gordon Elliott has five runners, including top-weight Alpha Des Obeaux and Rogue Angel, who was third in the Kerry National on his latest start. Willie Mullins won this race last year with Total Recall, but only has a reserve this time in Steel Wave. He did have Montalbano in at the five-day point, but he was taken out at the final declaration stage and will run in the preceding race instead, the PriceWaterhouseCooper Rated Chase. The six-year-old faces five rivals as he attempts to back up last month’s Ballinrobe success. “Montalbano looks well treated by the weights,” said Mullins’ son and assistant, Patrick. Paul Townend gets the leg up on Montalbano on a day when the Mullins team are delighted to see stable jockey Ruby Walsh back in the saddle after being sidelined through since August. Walsh has two mounts, both in Listed contests over the smaller obstacles. He starts with Getareason in the Dunraven Adare Novice Hurdle, followed by Good Thyne Tara in the Maurice Powers Solicitors EBF Mares Hurdle. “It’s great to have Ruby back. He’s been riding work here the last 10 days, two weeks or so. He’s fit and ready to go. Hopefully he can a get clear run,” said Mullins junior. “Good Thyne Tara should be hard to beat. She was very impressive in Gowran in a similar race.